Then turn your passion into a highly paid profession. Being a Professional Makeup Artist is a dream career. Work when you want, with who you want and earn what you want. Sounds good? Far fetched? Not at all. Z Bridal Studio can give you the knowledge, skills and confidence to excel and succeed in your own illustrious career! 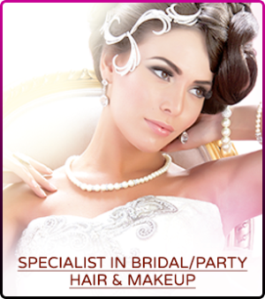 Z Bridal Studio is the UK's largest Asian Makeup Training Academy. We keep on growing because of success. Hundreds of trainees have graduated from our training courses fully equipped to succeed in their own careers. Many have become trainers too. We're not only the largest, but we have a proven track record of success. We will help you to be the best you can be. Z Bridal Studio are now available nationwide. So whether you are in London, Birmingham, Glasgow, Edinburgh or anywhere else in the UK, we are delivering our training courses. We can arrange dates and locations to suit you wherever you may be. Call our friendly staff or use our email contact form. We can make it happen so that you become the superstar makeup artist you know you can be! The course is 1 day per week, 9:30 am to 4:30 pm. You choose the day you want to attend the course, Wednesday, Thursday or Friday. The course lasts for 24 weeks from 25 February to 17 August 2019, one day per week. We are enrolling now in Bradford. Press 31 on the keypad when you enter reception. We can give you further information and answer all your questions. There will be a short English test to determine your entry onto the course. Do not forget to bring your valid passport and National Insurance number. This course is Government funded. You must be earning £25,000 or less, be in receipt of benefits or unemployed and aged 19 years or older. If your partner works, their income is not taken into consideration. Elgibility is based on your income. As well as practical makeup looks covering day, evening, special occasions, bridal, catwalk, high fashion, camouflage, body art and airbrush, there will be theory work for you to gain underpinning knowledge. 2 HOUR evening session 6.30pm to 8.30pm only at £95!!!! 1 hour spent demonstrating the look and you have 1 hour to practice this look! PLEASE NOTE we will only be holding 2 CLASSES on an evening PER MONTH!!! I am 20 years old and have been a Makeup Artist since the age of 15. I have had extensive training from my mother, best friend and inspiration, the “Makeup Maestro” Sahida Sardar, also from the acclaimed “Makeup Guru” Jawaad Ashrad of London, and the world-renowned hairstylist Patrick Cameron too. As a Professional Makeup Artist, I have been part of the Z Bridal ‘Elite Team’ who were hand-picked by Sahida Sardar from students who excelled at the Z Bridal Makeup Training Academy. Now, I am looking to build my OWN team of next generation Makeup Artists and will select the best from those who complete my own exclusive training courses. Being a Professional Makeup Artist is a dream career. I love my job. At a young age, I get to travel and meet wonderful people nationwide. I work with the kind of people I want to work with and have a fantastic client base. I am totally passionate about makeup and creating fresh new looks and I get to do that every day. I also have extensive experience in teaching others how to be a Professional Makeup Artist and Hairstylist, just like me. 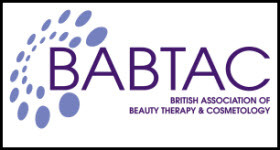 All my courses are fully accredited and I also offer self-grooming lessons. And now it’s time to take it to the next level and create my own “Next Generation” team. I can teach you the forbidden secrets of outstanding makeup artistry and give you all the knowledge, skills and techniques you will need to be a Professional Makeup Artist. And now (for a limited period only) my hair and makeup training courses are half-price! This is the right time to enrol and begin your dream career. Please call 07891 883703 to enrol or for further information. *Please note taking a training course does not guarantee a job. But you will be equipped to be a successful makeup artist and I am scouting for talent. If you have what it takes, it could be you that joins my “Dream Team”.